I have always wanted to run one of these events. Maybe when my car is completed, I will drag it out to one of these events. was George not there? how can ANYone beat the "shark"???? Mark I know you to be a true guy! but this is unreal! I guess George was up north runing with the PHA! the kings of hillclimbing! Maybe you guys don't KNOW John Finger ... ?? I'm pretty sure he still holds the record at Chimney Rock and I'm positive that he took FTD there MANY times. He's been more active in Club (and Pro) racing in recent years, but I haven't seen him at the track since last year now. It's possible that he's gone BACK to CLIMBING - *AND* seems to have retained at least some of his prior form. He can drive ANYTHING ... and BTW, if you don't know, he once drove an FV - back before the earth cooled (even before MY time) ! They didn't see George B this year he still holds the overall record with a 1:21.182, John ran a 1:28.368 and actually had to pull his car back out of the trailer after a quick run by a Cobra had him in second. John was da man at the Rock winning at least a dozen times but I do believe Jerry Kieft still owns the CR record after the last one in '95. Last edited by FV90 on August 14th, 2008, 2:04 pm, edited 1 time in total. John Finger is still active. usually seen driving something heavy with lots of motor these days. He was indeed the man at Chimney Rock & for a long time. I have an oil painting of a '72 Zink FSV that Harry Ingle drove that year. Ed only built 2 of them & John drove the other. Just a prince of a guy. Should have had a better pro career, but it almost always boils down to more or less equal parts of money and talent. You generally need them both. 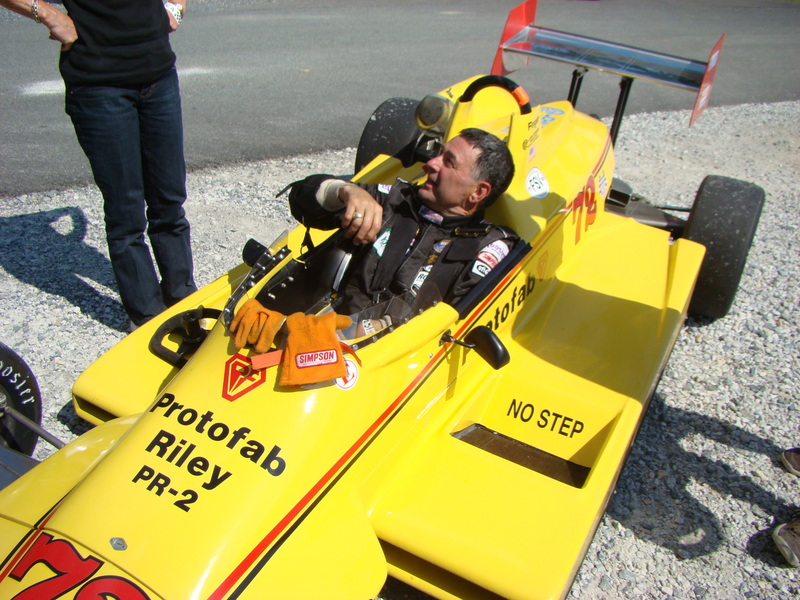 saw George this weekend at the Duryea hillclimb, where he broke the hill record that stood foe 15 years! by 2 seconds! and yes he was up here running the Polish Mtn. hill the same weekend as Eagles nest. What an amazing driver!